There is pride in the Nuñez heritage. Carlos Nuñez’s great grandfather was founder of one of the largest and most successful banks in Cuba and renown worldwide for its honesty and integrity. As many Cubans, the Nuñez family had to leave Cuba and their business behind due to the communist regime. 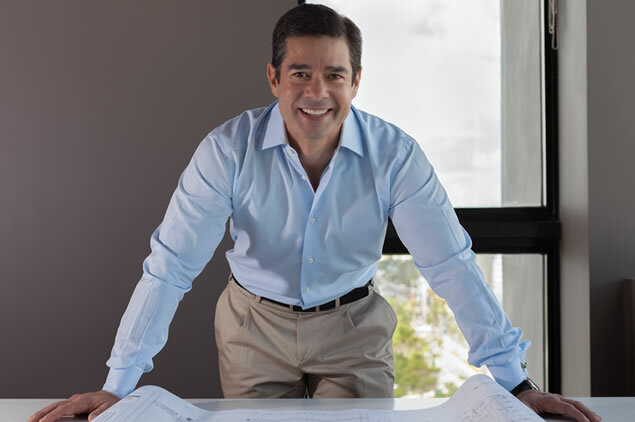 In 1992, Carlos Nuñez, established Nuñez Construction based on his family values and ethics. Today, Nuñez Construction is a fast-forward construction company that continuously evolves, offering a comprehensive and highly skilled service, parting from understanding our client´s perspective of a project and transforming an initial idea into a fully executed construction with utmost quality, precision and on-time delivery within a pre-established budget, with positive impact in its vicinities. Our success is based on the relationships built in the course of the years with our key players and partners in the constructing process, founded on professionalism, honesty & integrity. Nuñez Construction counts on a passionate team of seasoned construction professionals committed to our organization and to our client's projects from the first day. We have proven to be a growth platform with stay power for our staff, which has developed professionally, continuously improving our processes and deliveries. We count on a highly integrated local contractor base s accompanied our evolution, acquiring our corporate culture and processes as their own. We work hand-in-hand with our key architects & engineers (Design-Build), understanding that how we communicate and harmonize allows for creative solutions that respond to challenges according to each project’s needs. Our valuable alliances with Municipalities translate into expeditious processes for our projects at hand. Satisfied customers are our best referrals; we have developed long-lasting partnerships with our clients based on communication, trust, quality and satisfaction. During our 25+ years of experience we have optimized our processes and communication in each step of development, from concept creation with owners, architects & construction managers, through all stages of pre-construction, construction and post-construction services, making us lean, expeditious and effective. Being a mid-sized company allows for us to have closer communication with business owners, thus having flexibility and capacity to adapt to unusual constraints, ensuring a high quality end product that is cost-effective and of steadfast completion. This also allows us to offer different financial scenarios that adapt to our clients’ needs. Our building record and market recognition has earned us with bonding capacity and insurance, beneficial to our clients, large or small, differentiating us from our competition. We have focused our areas of expertise to best serve Health Service, Aviation, Industrial, Educational, Hospitality, Commercial/Retail & Residential markets in the Miami area. Nuñez Construction is committed to the community respecting green building practices, in the interest of sustainability and by generating employment.